Come and visit Alameda Point and discover a vibrantly mixed community of tenants, including Northern California's largest monthly Antiques Fair. Venture onto Spirits Alley, where you will find an award-winning wineries, distilleries and brewery taproom. The Point is also home to a one of a kind 120,000 square foot sports and fitness club, eclectic artisan workshops, transportation, clean tech, maritime related services, life science labs, and sports fields. Amidst our properties is a preserved open space that supports a variety of wildlife. The California Least Tern, a federally protected migratory bird, annually breeds and nests at Alameda Point. Alameda Point is rapidly becoming one of the most popular places for commercial real estate in the Bay Area. With unique tenants, historic buildings, and beautiful landscapes for development. We invite you to explore our community to see for yourself why this is truly the place to be. 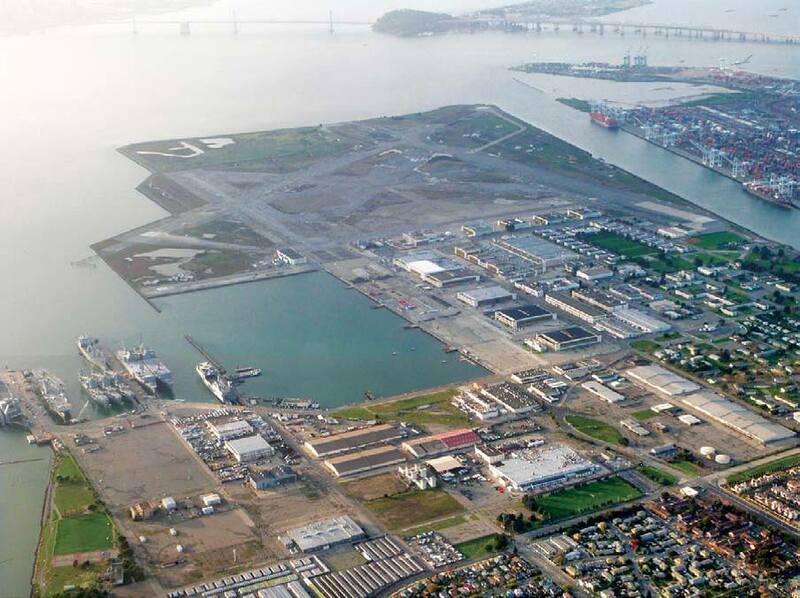 Find out about the rich history of the Alameda's Naval Air Station.